Most of the people are now looking for resale ready to move flats in noida, because they can get the projects which are on advance stage and these projects are cheaper than the fresh bookings. Resale flats will always have advantage of having level of construction at cheaper price. Although it is seen that people are now more inclined towards those flats which are near to possession or ready to move flats. 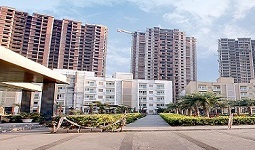 Noida has become hot location for home seekers in NCR, because of its connectivity and infrastructure development. Noida has much better infrastructure than any other location of national capital region. Many multinational companies are functional in Noida and providing huge employment. Similarly abundant professionals and businessmen are now looking for accommodation in Noida. Sizes:- 825, 925, 960, 1070, 1265, 1665 Sq-ft. Available in Resale 2/3 BHK Apartments. Size-915, 1080, 1320, 1550, 1835 Sq-Ft.
Mahagun Moderne Sector 78 Noida. 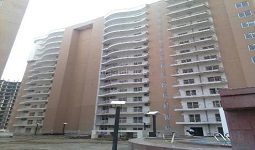 Size:- 795 to 2100 Sq-ft.
Lotus Boulevard Espacia Sec-100 Noida. Gulshan Vivante Sector 137 Noida. Victory Crossroad Sector 143 Noida. Size- 831, 1000, 1267, 1458 Sq-Ft. Prop Mudra real estate services has excellent team who is taking-care of resale ready to move flats in Noida. Often Prop Mudra has always abundant flats for resale in every residential projects in Noida. 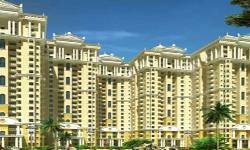 Therefore Prop Mudra is considered one of the leading property consultant company in Noida. Prop Mudra has dedicated resale professionals who are giving you best property services and closing your deal amicably. Central Noida is an inhabited location. Few Sectors are fully occupied like - Sector - 41,47,48,49,50 and 51. Here many renowned builders are developing their societies respectively. Mahagun Moderne is one of the leading project in this location. Prop Mudra is doing excellent Business in this project, Because Propmudra has enough ready to move flats available in Mahagun Moderne.